Pictures from Buttertubs Tour de France -TdF. Buttertubs Tour de France photos The Tour de France (TdF) finally got underway from Leeds on Saturday 5 July 2014. The race started off from Leeds at 11 am and visited Harewood House, Otley, Ilkley and Skipton before making its way on to the scenic lanes of the Yorkshire Dales. The race did the first big climb of day just outside of Buckden with the ‘Cote de Cray’ the first of the categorised climbs of the 2015 Tour de France (the first points of the ‘King of the Mountains’ – Poker dot jersey). The race then meandered its way via Aysgarth and Bainbridge before reaching the pretty small town of Hawes which nestles at the foot of the Buttertubs pass. Buttertubs is one of the great cycle challenges of the Yorkshire Dales, it is just 4.4km in length, but its steep ramps and great views of the Yorkshire Dales makes it one of the locals favourite climbs. Thousands of people turned out to watch ‘Le Tour’ riders tackle the climb. The road rises up from Hawes and passes over the pass before a very fast descent to the typically named Yorkshire village of Muker. The climb has a maximum 20 per cent gradient just about the cattle grid half way up the hill. It is estimated up 60,000 spectators may turn out to see the climb. This entry was posted in Tour de France and tagged Cycle Race, TdF, Tour de France on July 5, 2014 by racingsnakes. 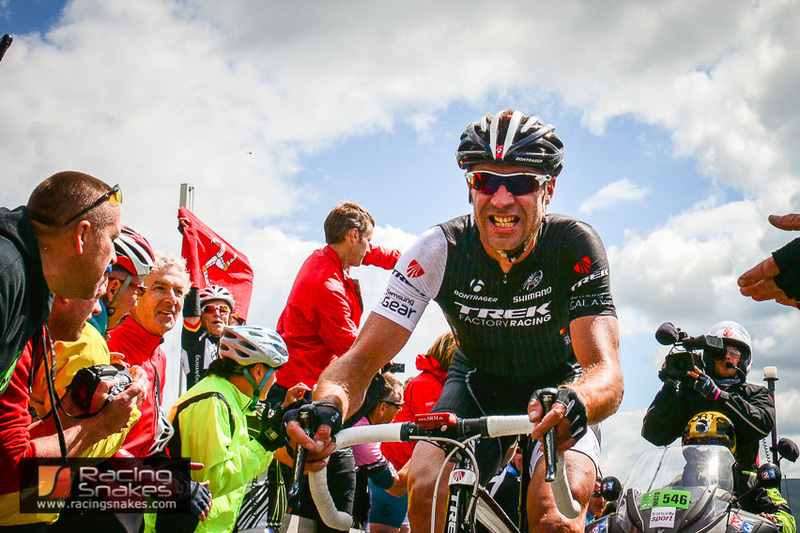 The Etape du Dales is a gruelling 112mile cycling sportive that set off from Threshfield (Grassington) in the Yorkshire Dales National Park. The route climbs over a number of significant hills inluding Fleet Moss, Buttertubs, Tan House Hill, Coal Road and Dale Head. The total amount of climbing (and descent) is 9170 feet (2795 meters). The first 10 miles of the route follows the Tour De France (Le Grand Depart) stage 1 from Threshfield to Buckden. The route then peels off to do the brutal but beautiful climb over Fleet Moss at about 18 miles into the route, there is then a long before descent into the small Dales town of Hawes. When in Hawes the Etape du Dales rejoins the Tour de France stage 1 route to ascend the Buttertubs pass at about 25 miles into the route. The Buttertubs Pass has an official category 3 rating for the Tour De France and is a popular climb with cyclists trying to gain the King of the Mountains on the Strava app. The route continues into Swaledale before leaving the TdF route before it reaches Reeth at Low Row. The Etape du Dales then heads off to climb the Tan House Hill but first there is the climb over to Arkengarthdale. Tan house hill is at about 46 miles into the route. Before starting its homeward leg. At 70 miles the Old Coal Road is a hard climb with all those miles in the legs, it passes Dent Station the highest mainline railway station in the UK before descending into the pretty vally bottom. The Etape du Dales continues along the vally gently climbing at first before another big climb from Stonehouse towards Newby Head. A descent is then enjoyed to iconic Ribblehead viaduct and continues to Stainforth before the final big hill of the day climbing to Dalehead at aproximately 90 miles. 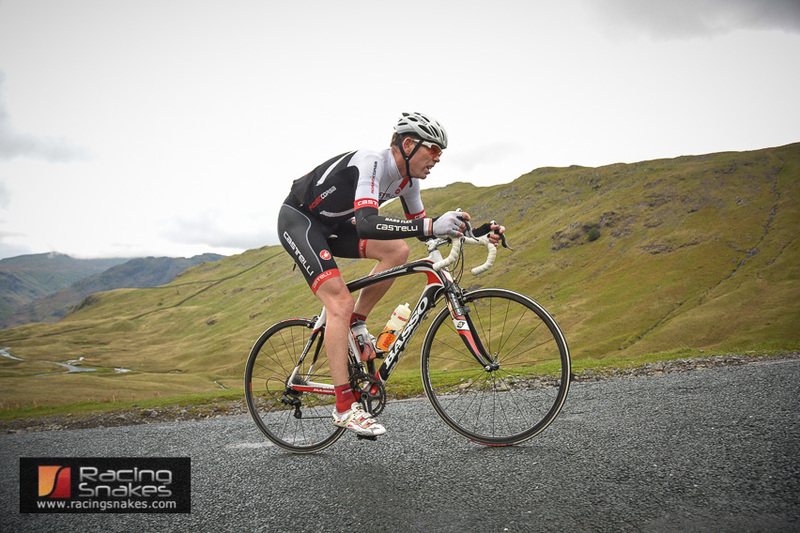 The route of Etape du Dales is a cycling sportive challenge and is not officially a race (however the fastest time for completing the route is just a little over 5 hours and 43 mins). This entry was posted in Cycle Sportive and tagged 2014, Buttertubs, Cycling, Dales du Etape, Etape du Dales, photographs, Photos, pictures, sportive, TdF, Tour de France on May 16, 2014 by racingsnakes.